For the Removal of Grease, Oil, Tar, Boot Polish & Dirt. 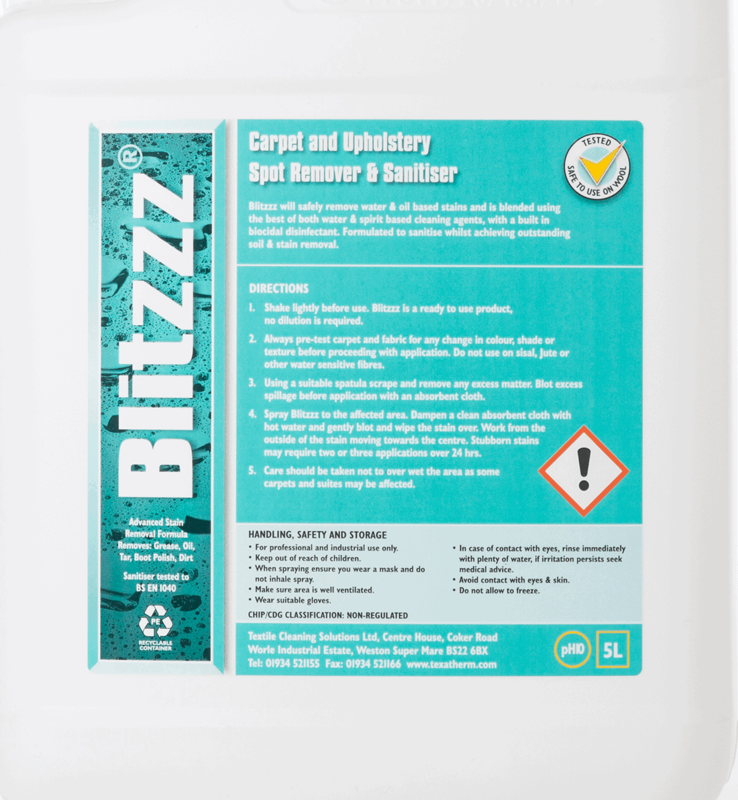 Blitzzz will safely remove water and oil based stains and is blended using the best of both water and spirit based cleaning agents, with a built-in biocidal disinfectant. For the Removal of Grease, Oil, Tar, Boot Polish & Dirt. 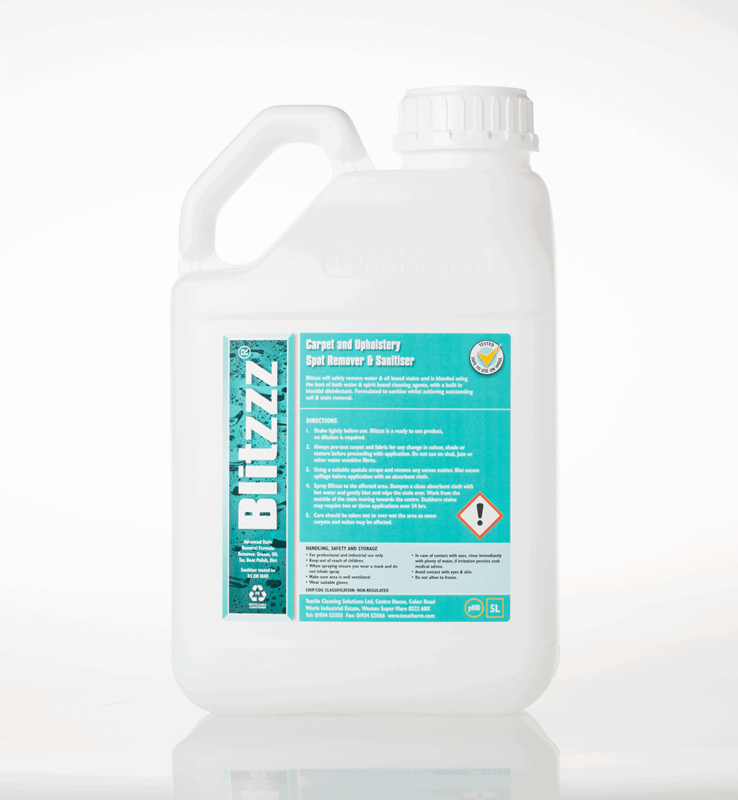 Blitzzz will safely remove water and oil based stains and is blended using the best of both water and spirit based cleaning agents, with a built-in biocidal disinfectant. Formulated to sanitise whilst achieving outstanding soil and stain removal.